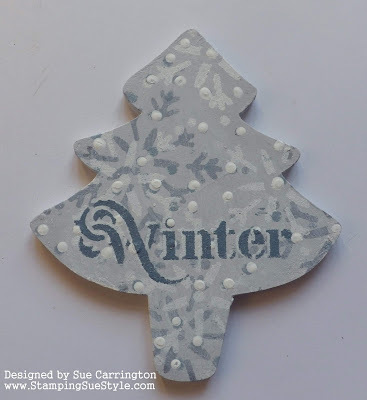 I've got a 'bonfire night' challenge for you this month. 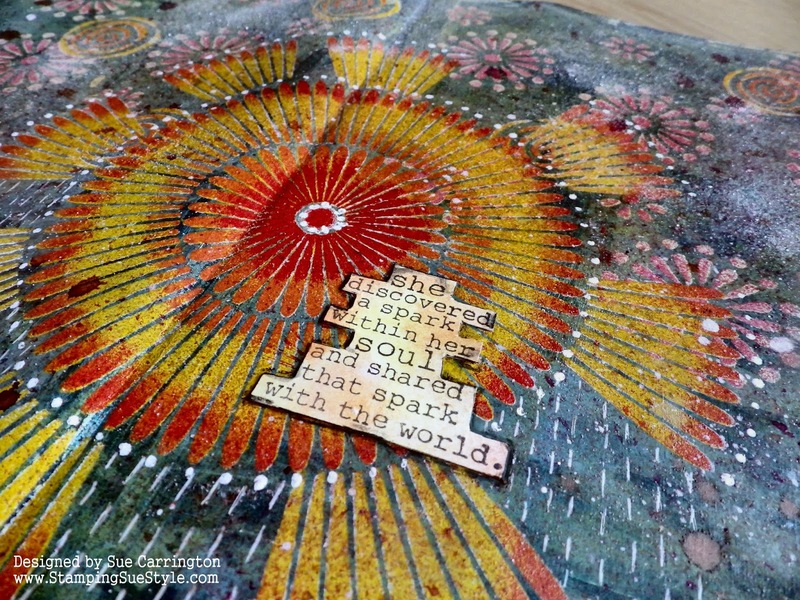 As a child, I used to love bonfire night. 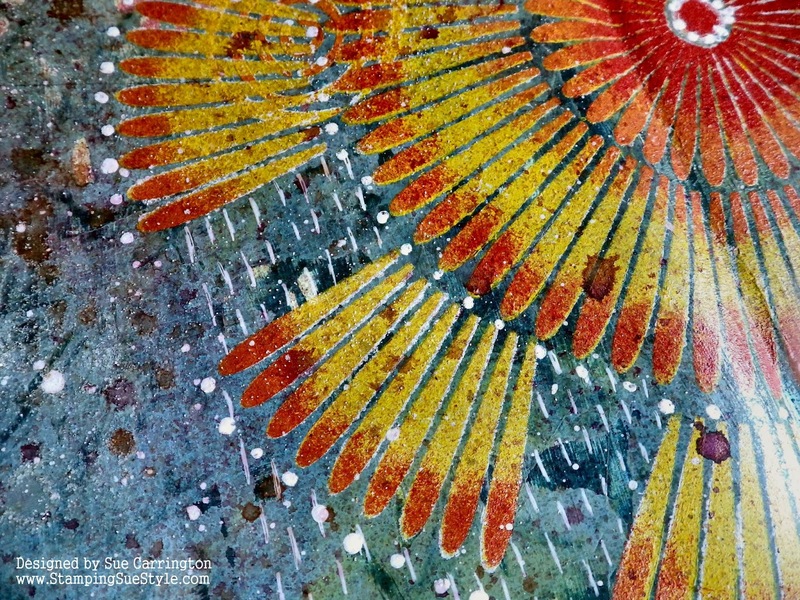 My dad would come home from work with a box of fireworks and packets of sparklers for us and we couldn't wait to get outside and enjoy the show! 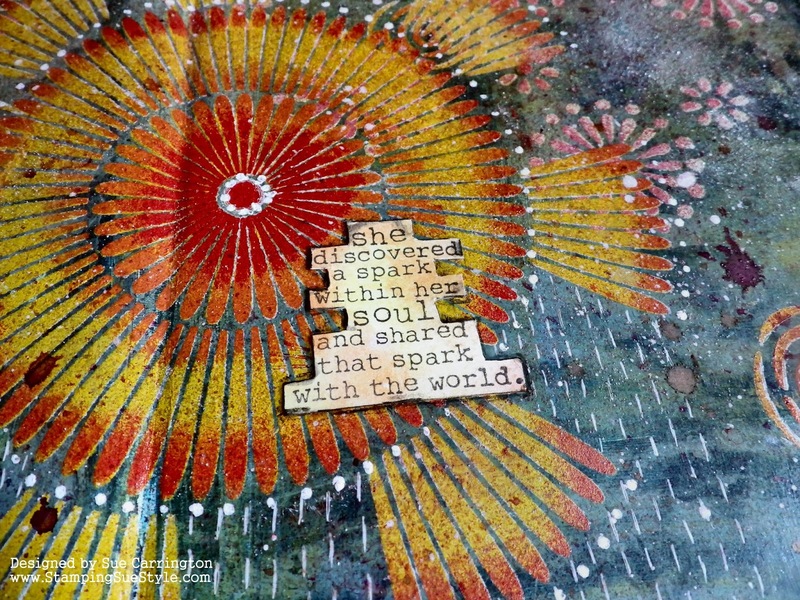 I'd love to see your art works based on fire and fireworks. 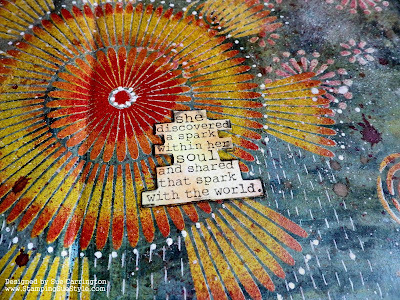 Think bursts of colour. Let rip with the colour sprays, glitter, and paints. 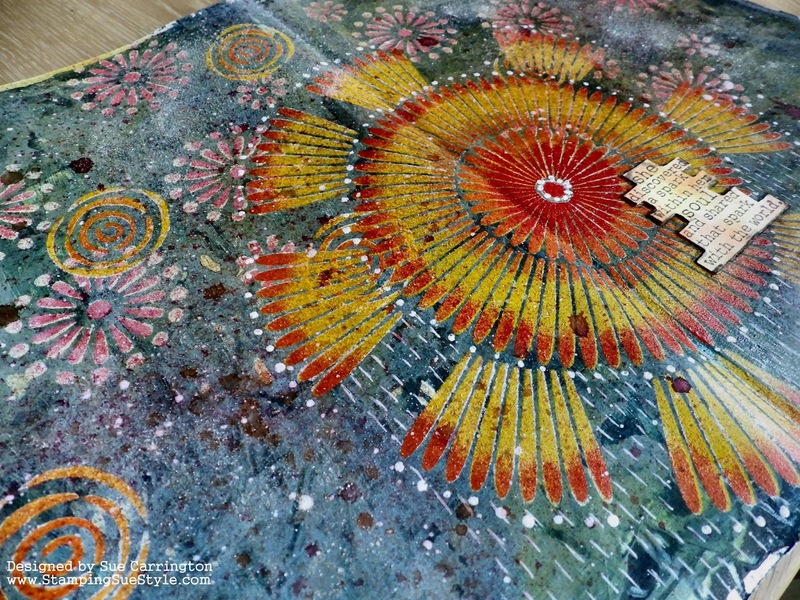 Let's have a bit of fun and brighten up these dark days with COLOUR ! 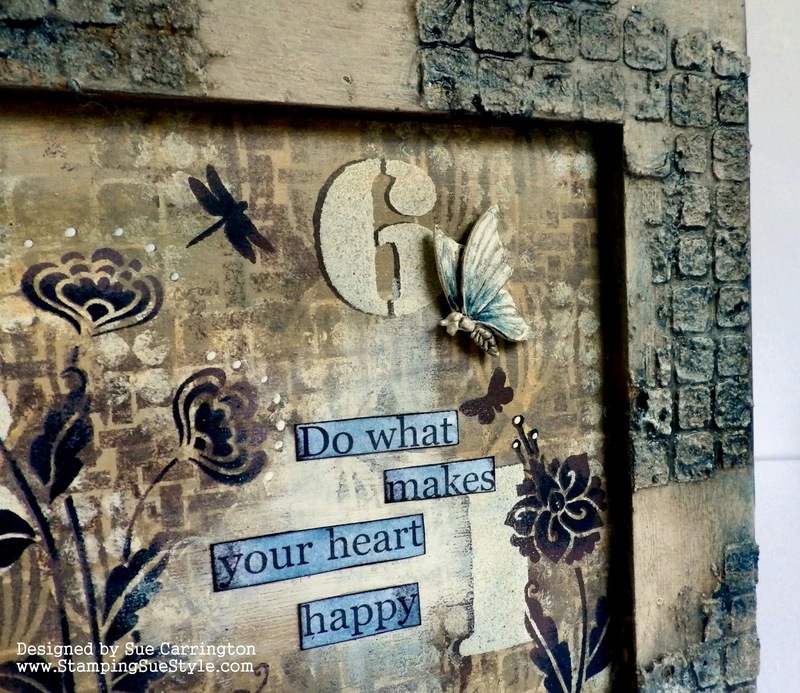 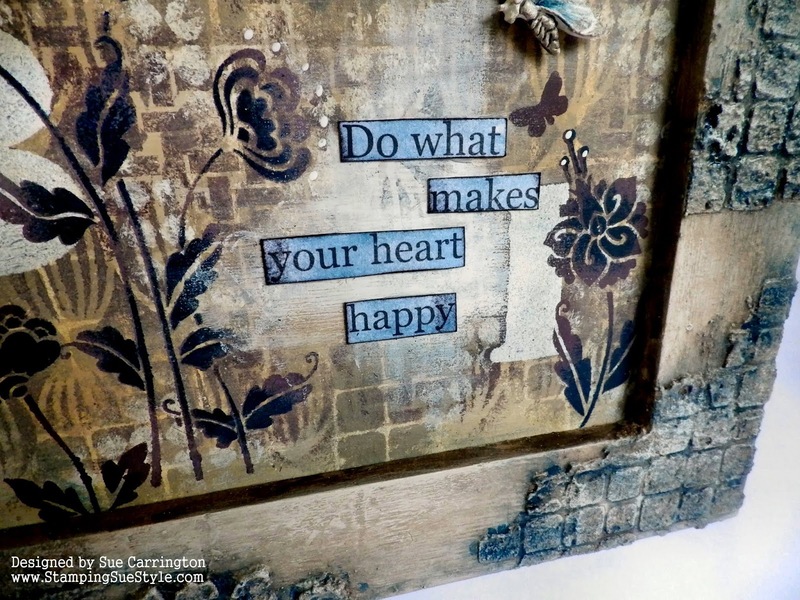 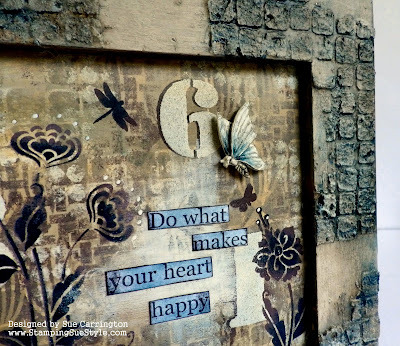 Just remember it must be mixed media and include stamps or stencils or even both. 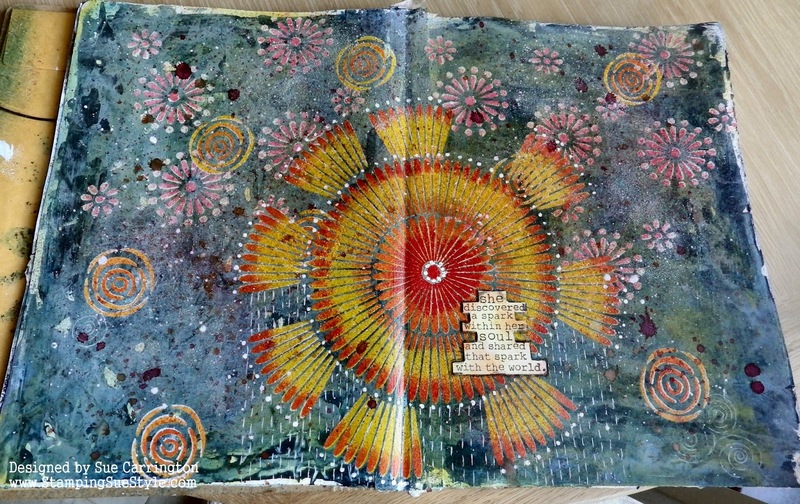 Following the brief from Toni I headed straight for my journal. 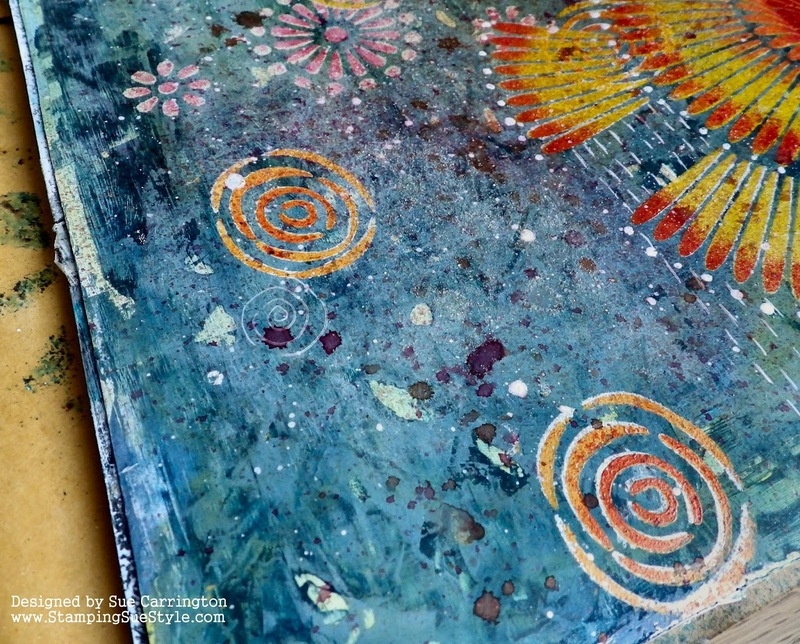 I started with a selection of Fresco Finish Acrylic paints and a plastic card and scraped the colours over the gessoed page. I picked out some stencils that I thought resembled suitable shapes for fireworks. I blocked out the base colours with Snowflake Fresco Finish then used Amsterdam Acylics to stencil on top, building up the colours. 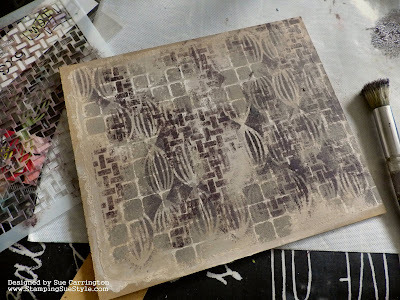 After I'd done the large stencil I masked off an area of it and stencilled more around the edge, thinking of a Catherine Wheel and how they spin and explode from the centre. 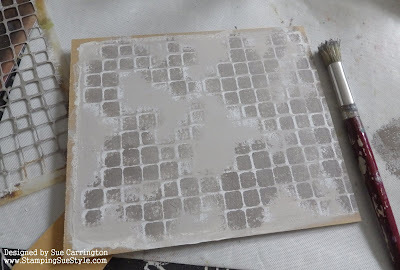 The white dots are done using the end of a paint brush dipped in white paint and I added the white dashes with a gel pen. I spritzed the page with various sprays and then also flicked some white paint over the page. The text is a stamp by Yvonne Blair, stamped onto white card and the colour added with a baby wipe and Amsterdam acrylics. 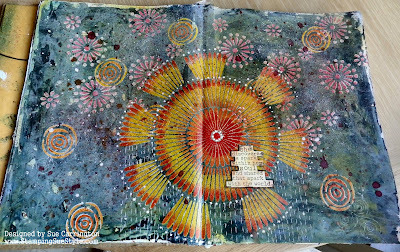 I used a Stabilo pencil around the edge of the card and smudged the colour. 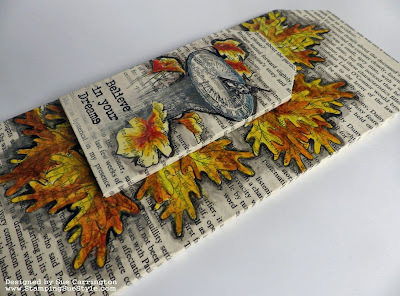 I hope you get chance to join us for this explosive challenge and do hop over to Stamps and Stencils to see the rest of the DT's fabulous projects. 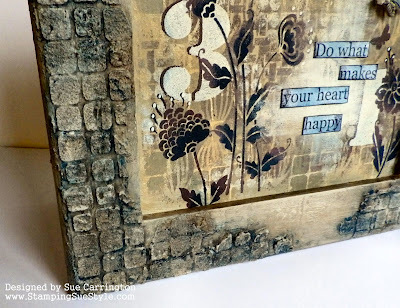 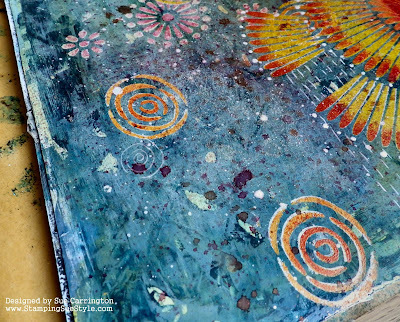 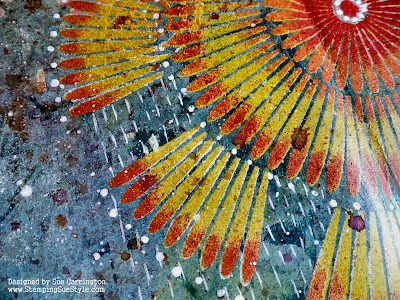 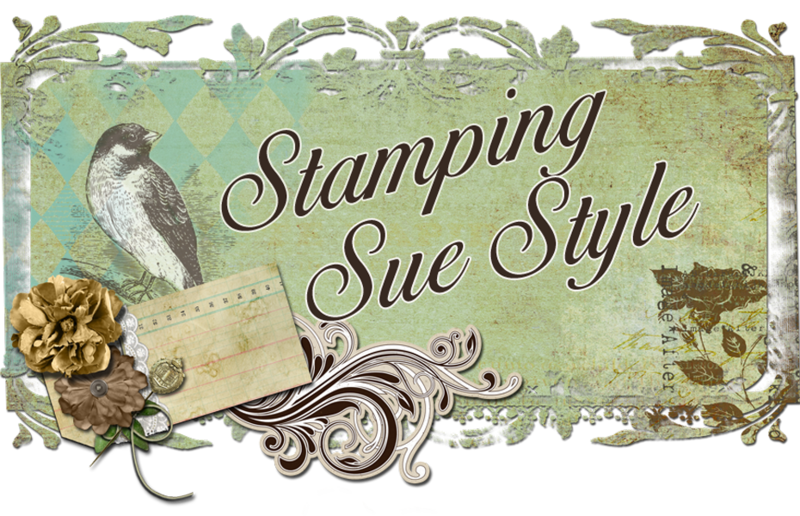 We're starting the new challenge at Stamps and Stencils today and as I'm the host I've made it easy with Anything Goes in a mixed media style with the usual stipulation of using either stamps or/and stencils. 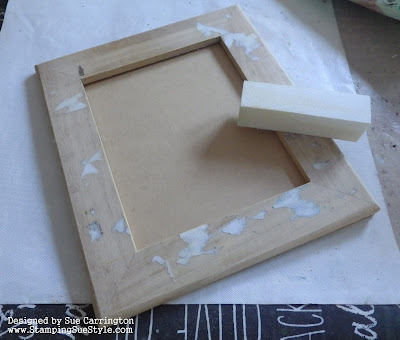 I have loads of old projects that are just sitting in a box so I had a look through and found a frame that was definitely in need of a makeover. 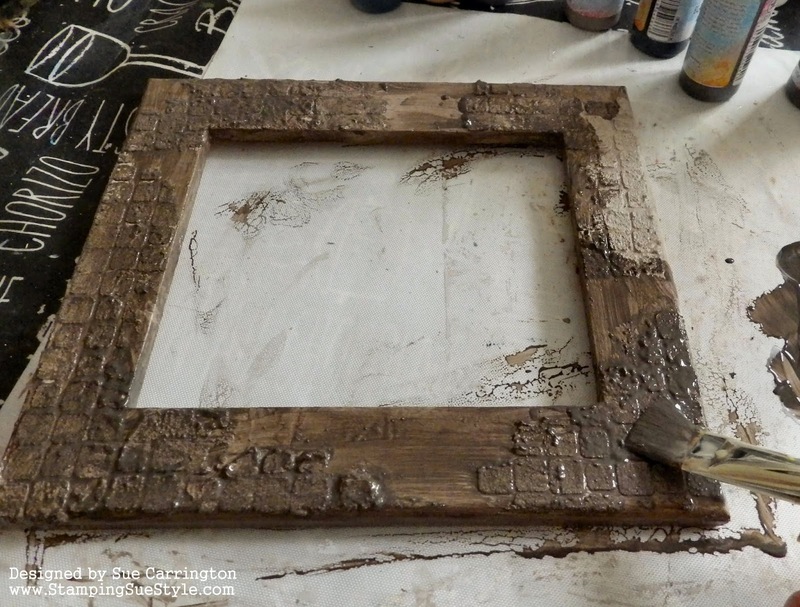 After removing all of the old decoration I sanded the frame. 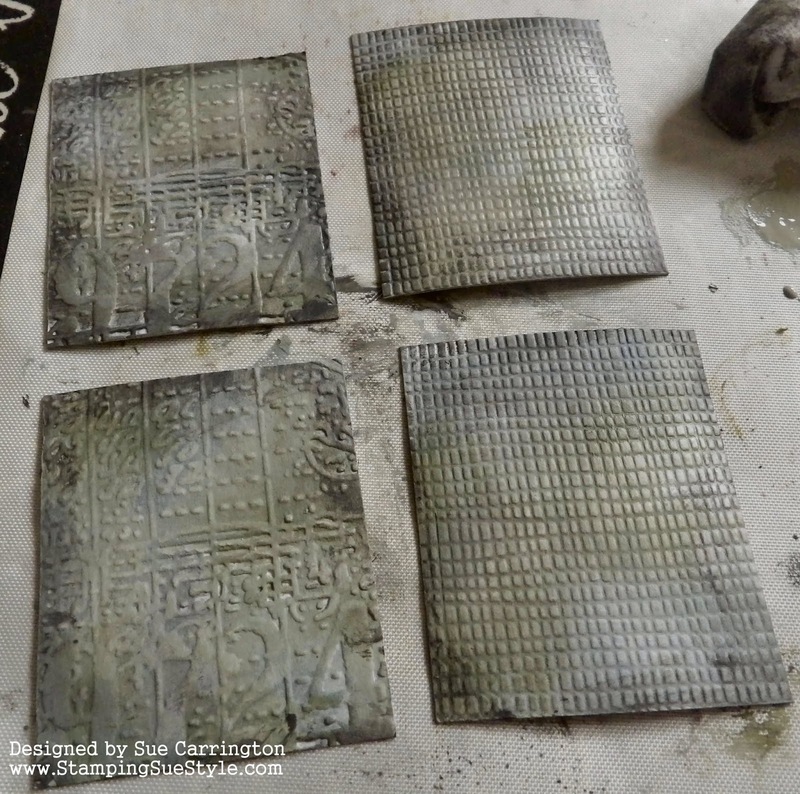 While the Texture Paste was drying I started on the main panel. 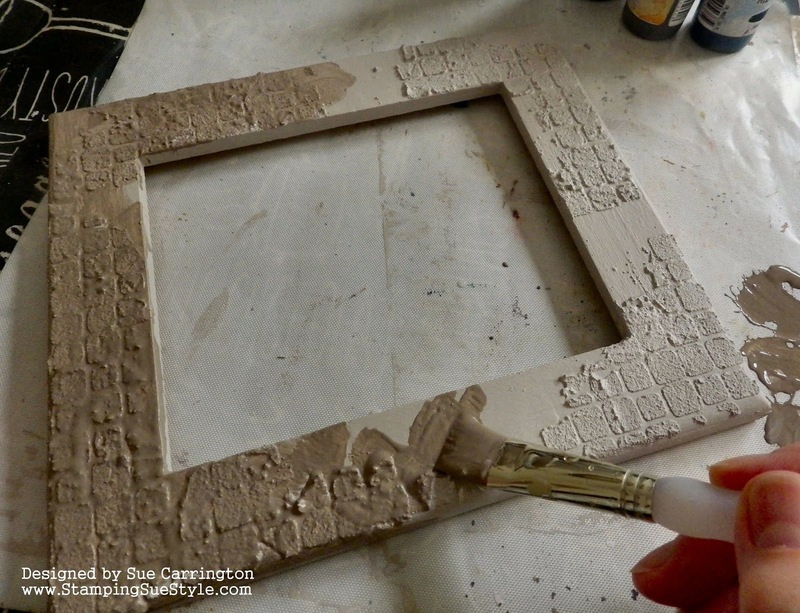 The first coat was Gesso then I used Fresco Finish Acrylic paint, Stone. 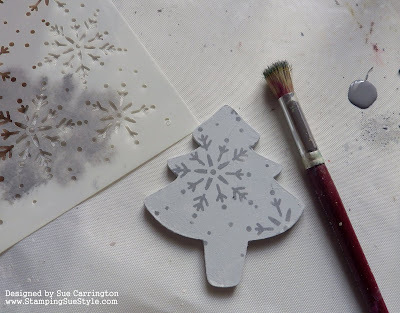 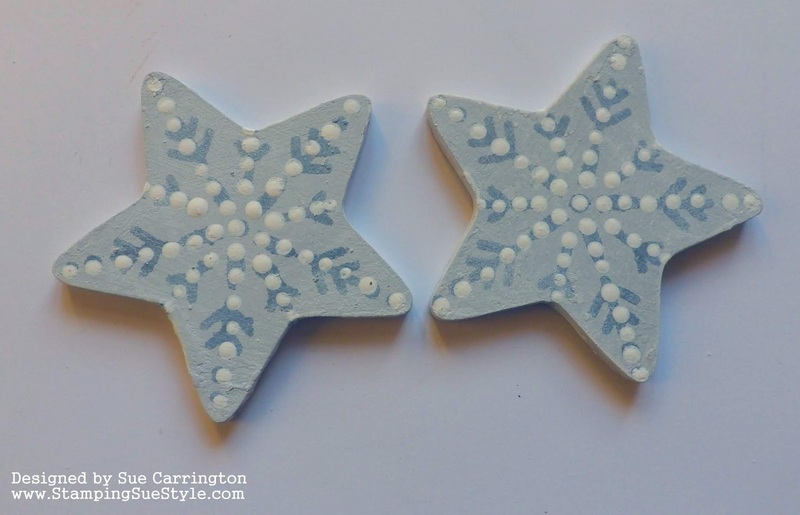 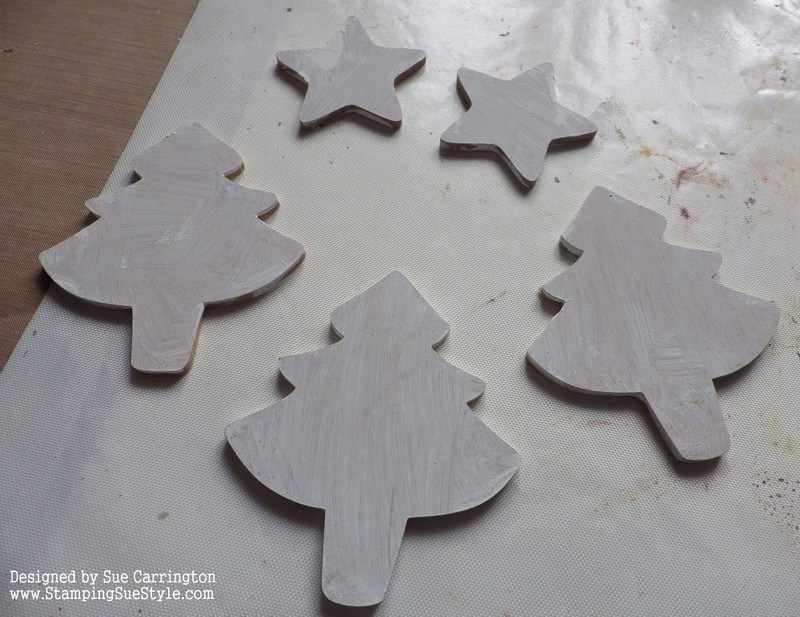 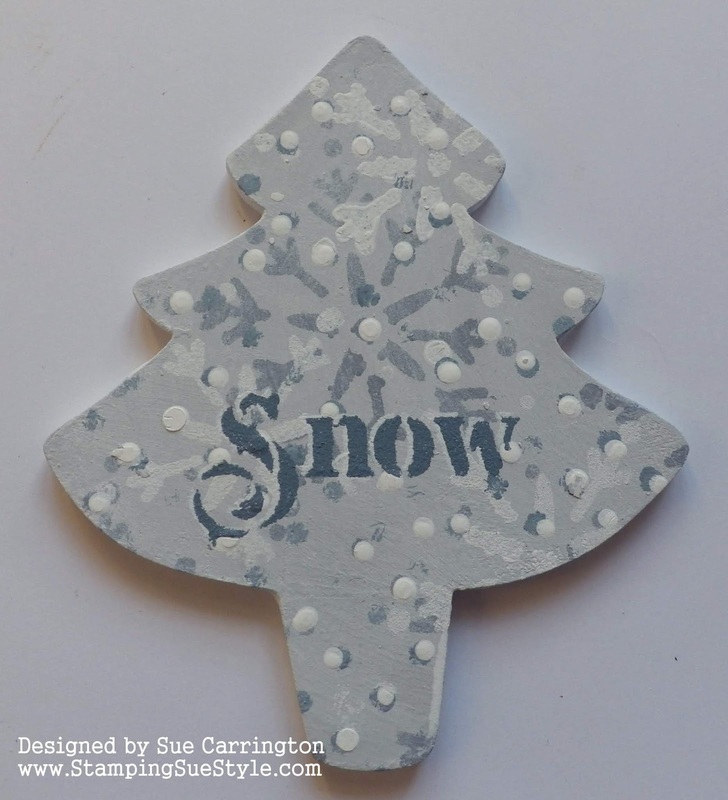 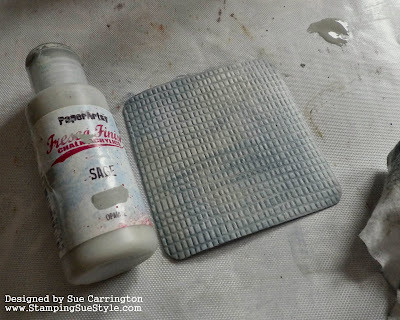 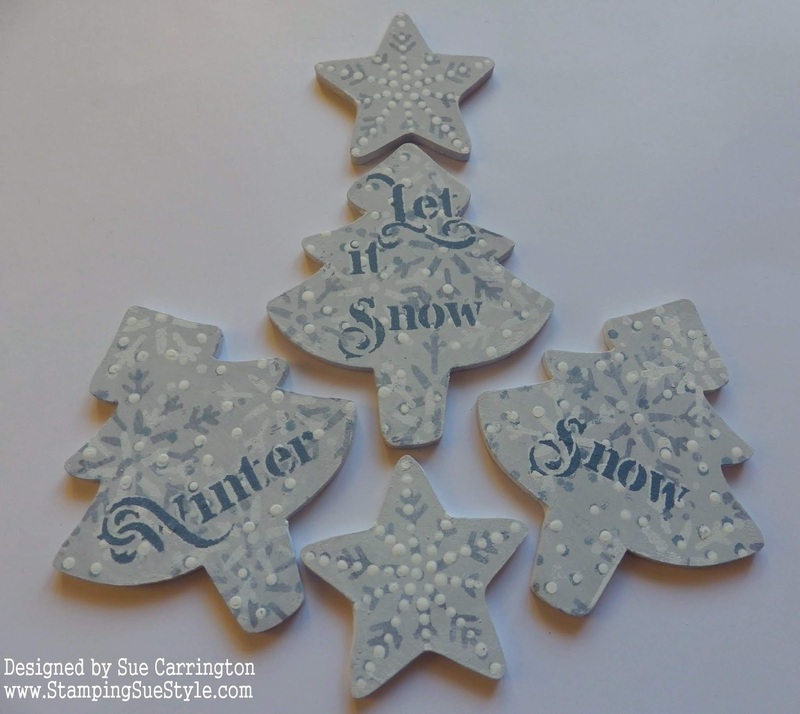 I used the same Tim Holtz stencil with Snowflake then 'bumped' it then used Taupe. I continued stencilling, building up layers and using Irish Cream with a baby wipe in between the stencilled layers and Squid Ink as a contrast to the neutral tones. 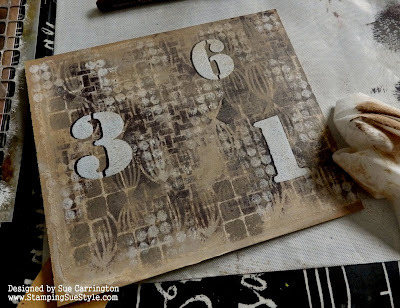 I love including numbers on a stencilled piece, the above were done using a Donna Downey stencil and the 'bumping' technique again. 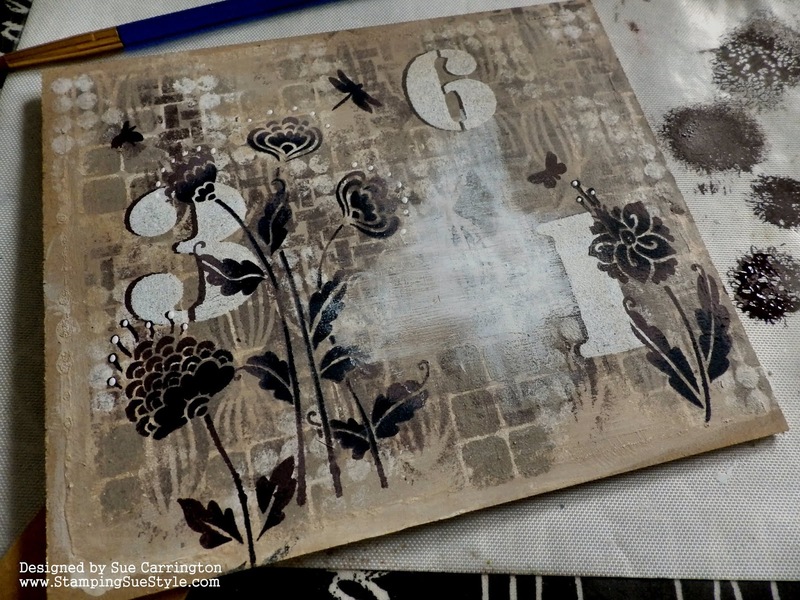 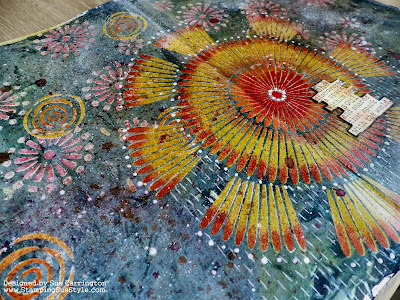 The top layer of stencilling is done with a TCW stencil, Squid Ink and Midnight Fresco Finish colours. 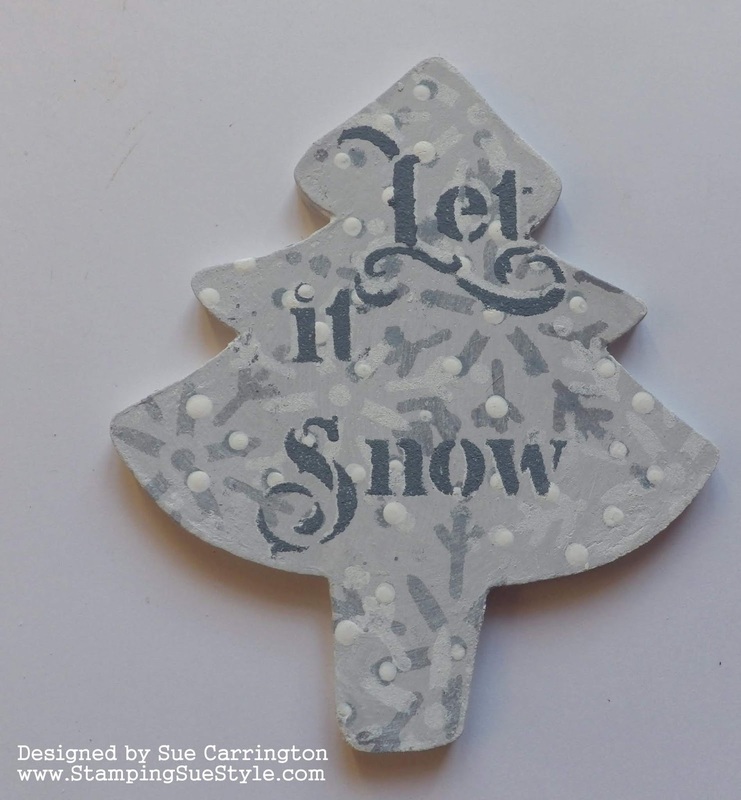 I used my finger to smudge a little Snowflake Fresco Finish to create a space for my sentiment. 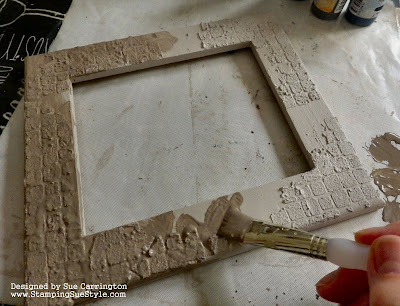 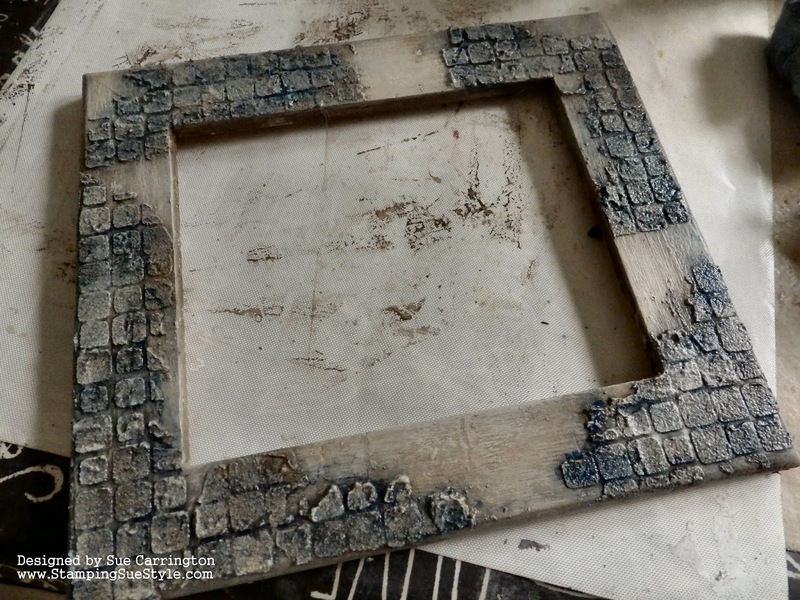 Now the paste is dry on the frame I did a base coat of Stone then started to build up layers but I added acrylic glaze to the paint. After a couple of minutes the colour is wiped back with a baby wipe. 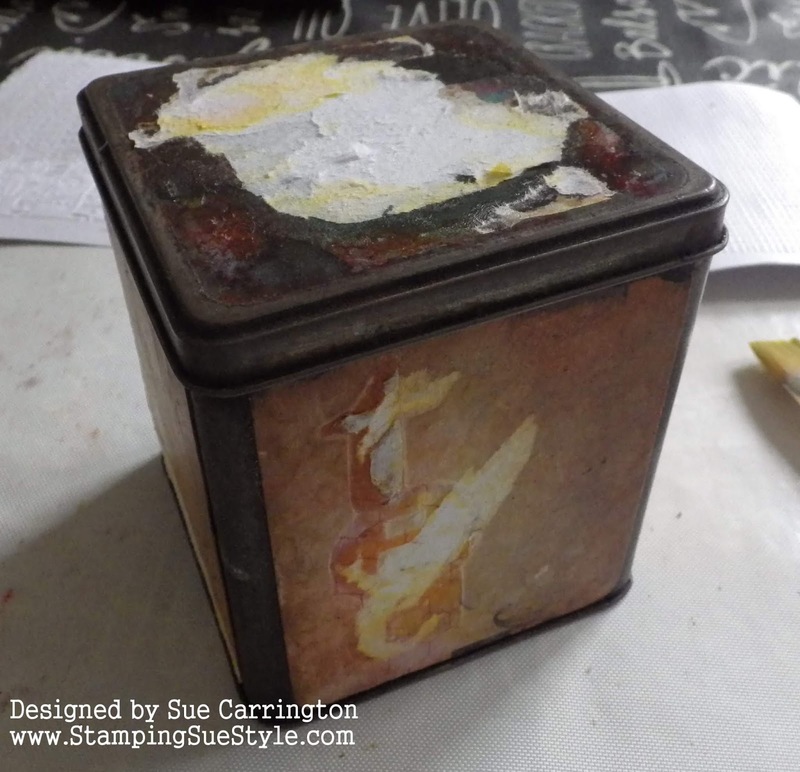 French Roast is a great colour for an ageing effect, I mixed this with acrylic glaze, painted it all over then wiped it back. 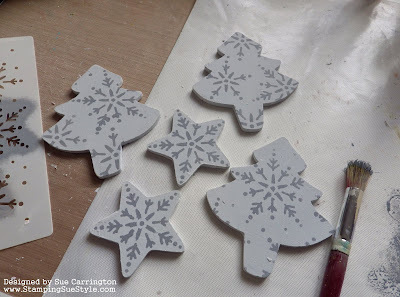 The final colour was Midnight, again made into a glaze. The panel was put back into the frame to finish the piece. 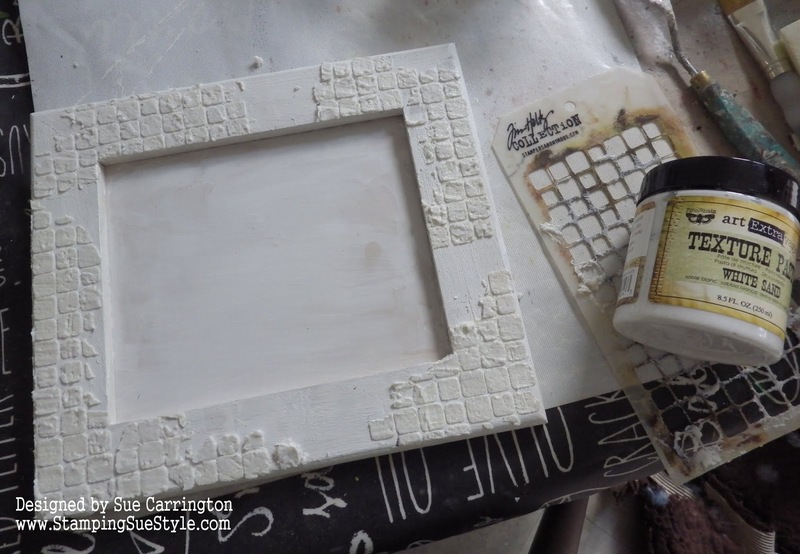 The texture from the paste has captured the colour from the glazes and given it a brick effect. 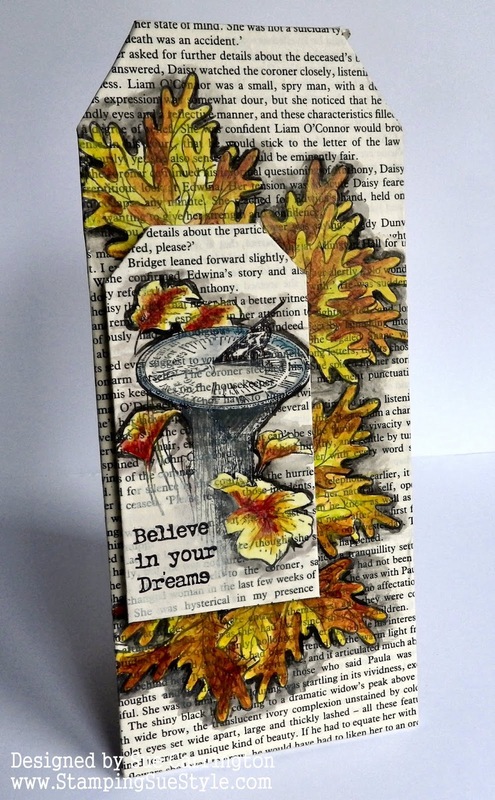 The sentiment is by Yvonne Blair and is stamped on to white card then I used a baby wipe that had been used for the glazes and wiped it over the card. 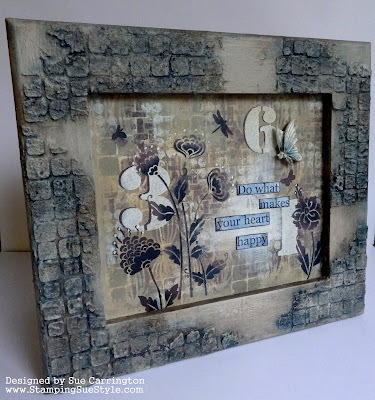 The butterfly is by Prima and I've jsut added a little colour to the body and base of the wings. 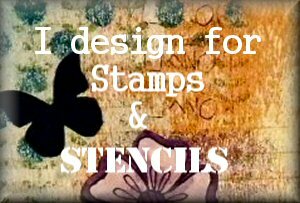 The rest of the DT have made some fabulous projects so make sure you hop over to Stamps and Stencils to take a look. 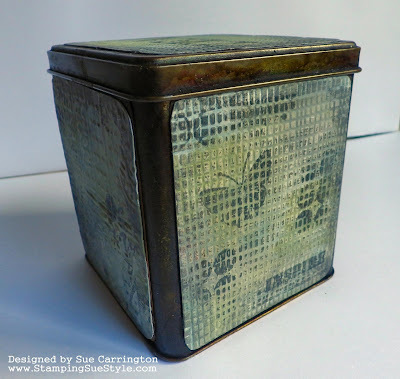 Now grunge and industrial are not my bag at all so this one had me going round in circles for a while. 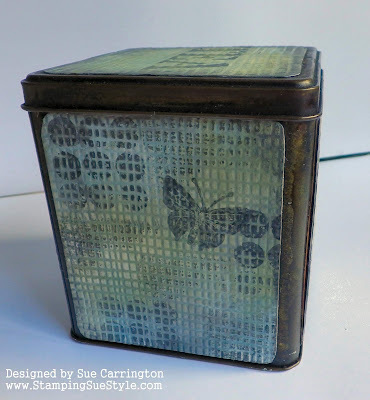 Then I spotted my tin in the kitchen for my tea bags which has been needing a revamp for a long time. 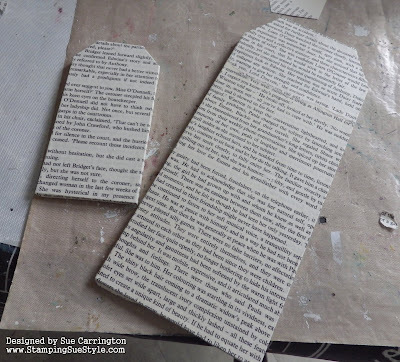 I removed all the original decoration but left the base card board and this would be good to glue on to. Next I grabbed some Smoothy card and a couple of embossing folders and embossed the card, then gave it a coat of Matt Medium to protect it. While the glue was drying I picked out the Alcohol ink colours I wanted use to change the colour of the actual tin. Now back to the embossed card, and I gave it lots of layers of Fresco Finish paints using a baby wipe. 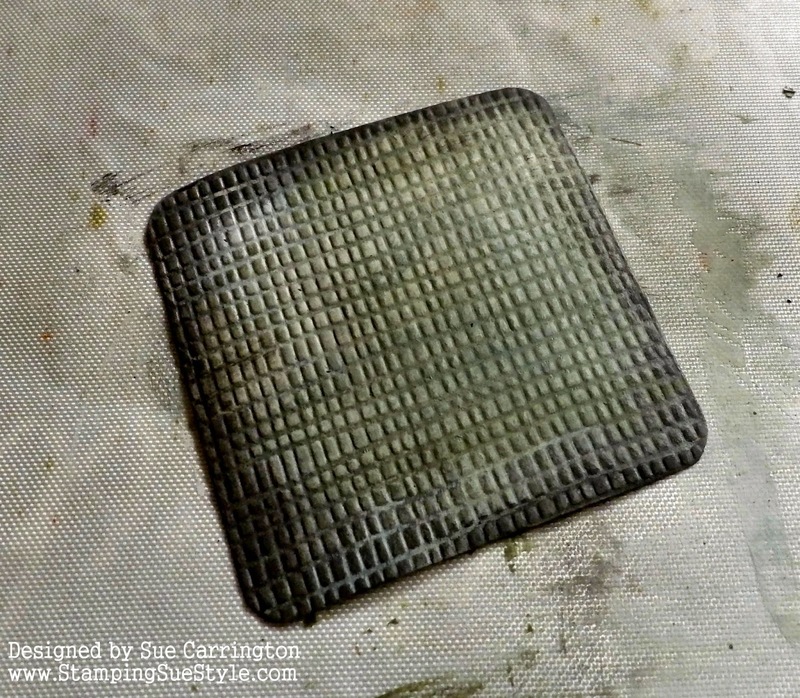 Sage works so well with the steel greys. 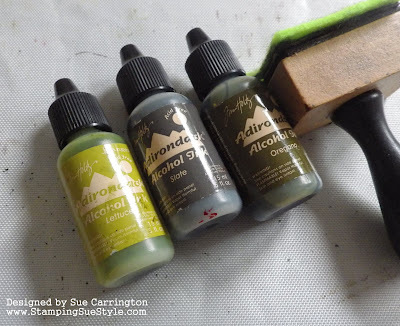 To add definition I used Slate Fresco Finish around the edge and Toad Hall, which is a really deep, mossy green. The four panels were also give the same treatment. 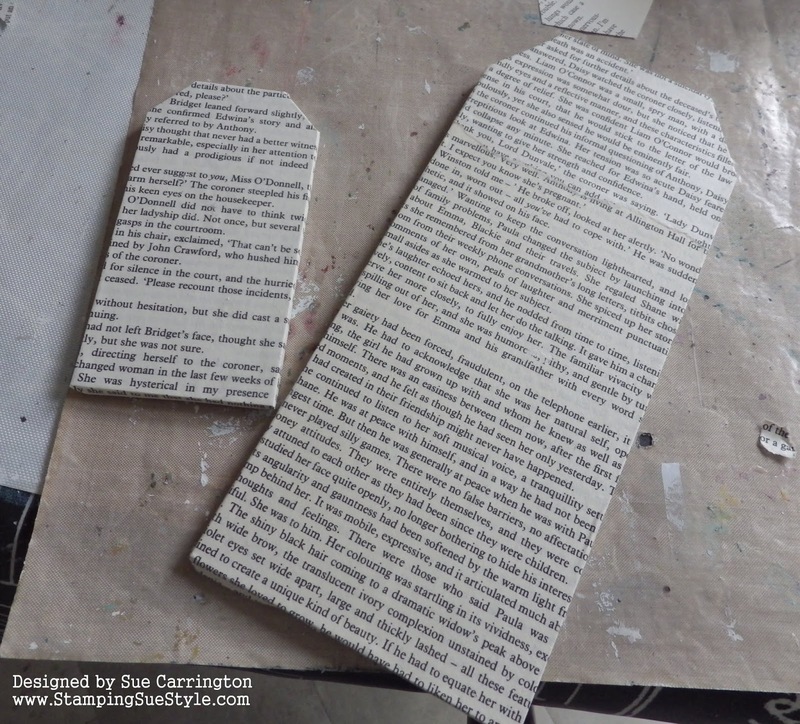 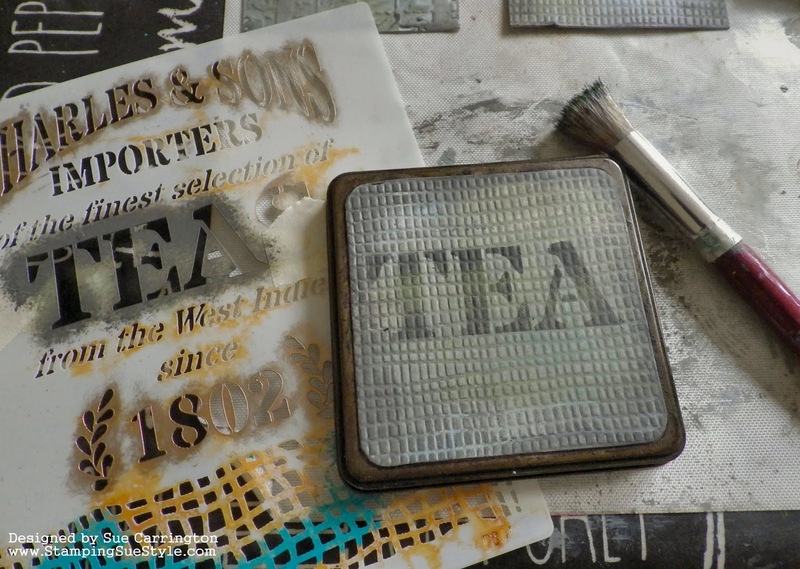 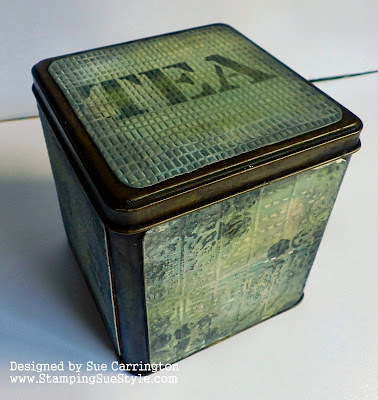 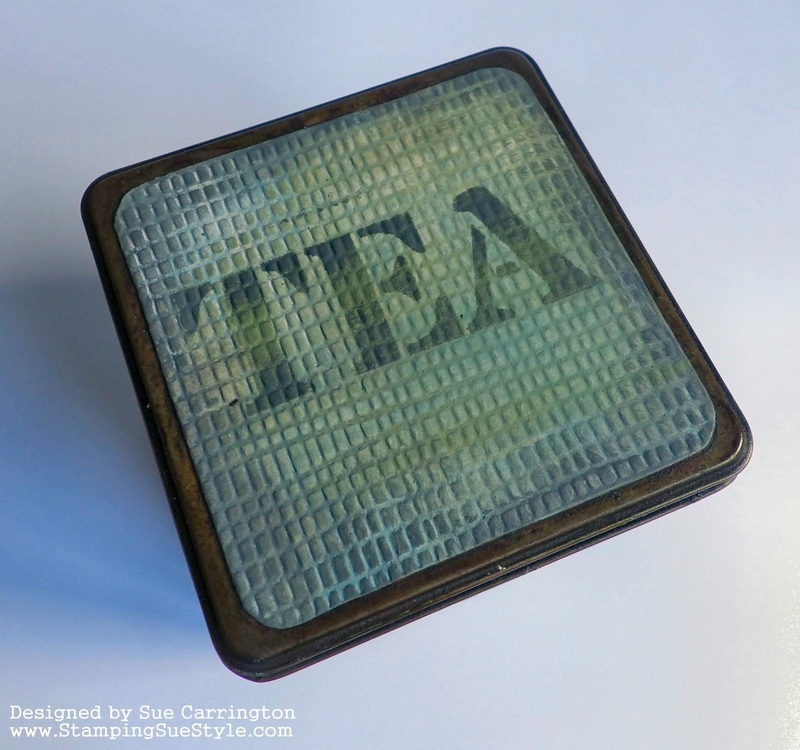 Once the lid panel was glued in place I then used a PaperArtsy stencil to add the word tea. All the panels were glued into place and then I added some random stamping using Archival Watering Can ink. 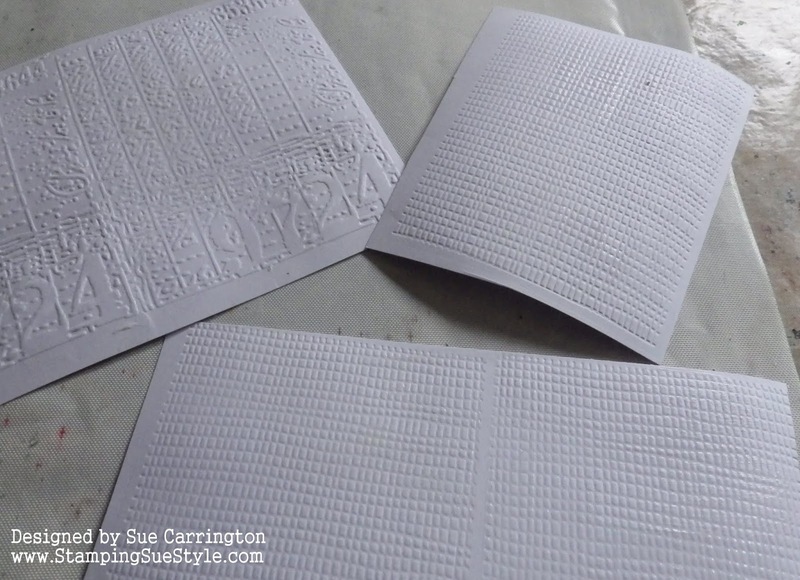 The stencilling worked really well on the embossed card. You can see the green of the Alcohol inks on the tin in the above photo. 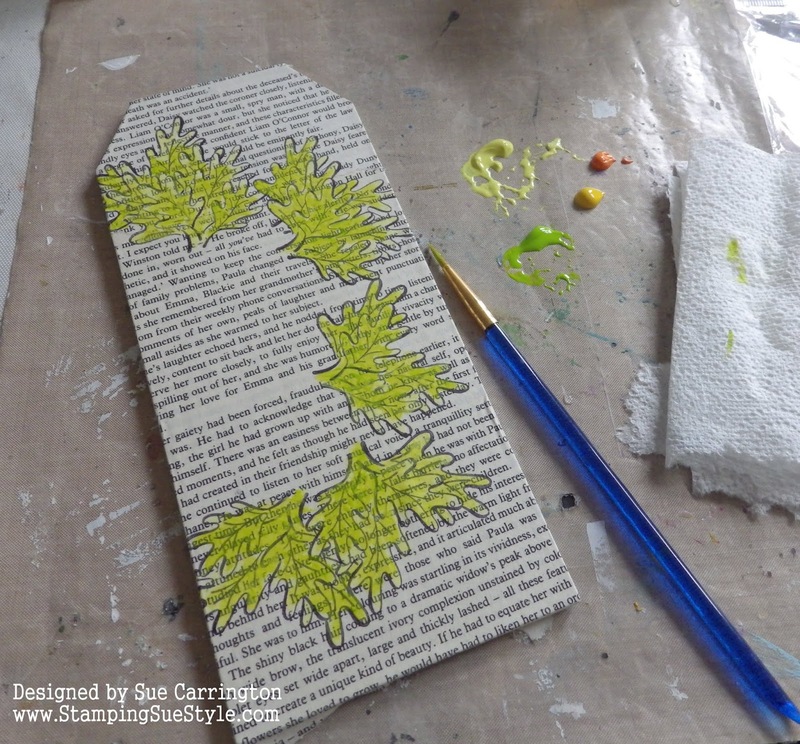 Some more random stamping with Arhcival ink. 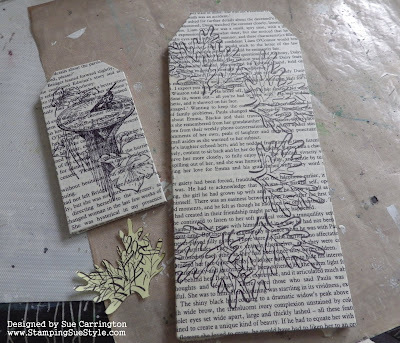 The last panel with more stamping with Watering Can Archival ink. A simple project which now has pride of place next to my kettle and looks really smart. 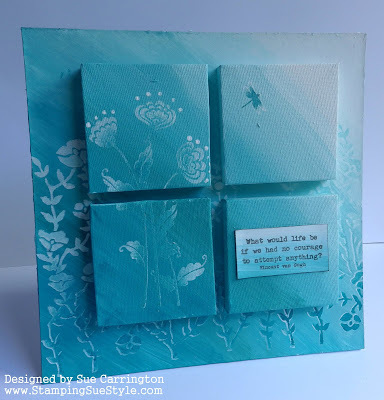 The rest of the team have created some fabulous projects for your inspiration, do make sure you hop over to Stamps and Stencils for a look ! 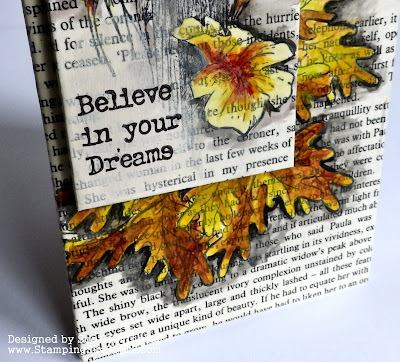 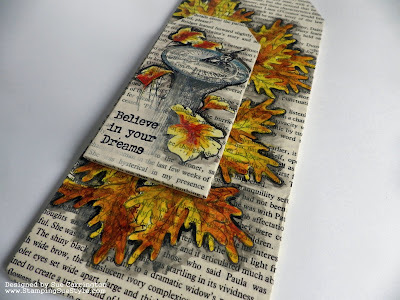 I'm sharing an inspirational post today over at Stamps and Stencils and I'm sticking with the current challenge theme of Ombre. 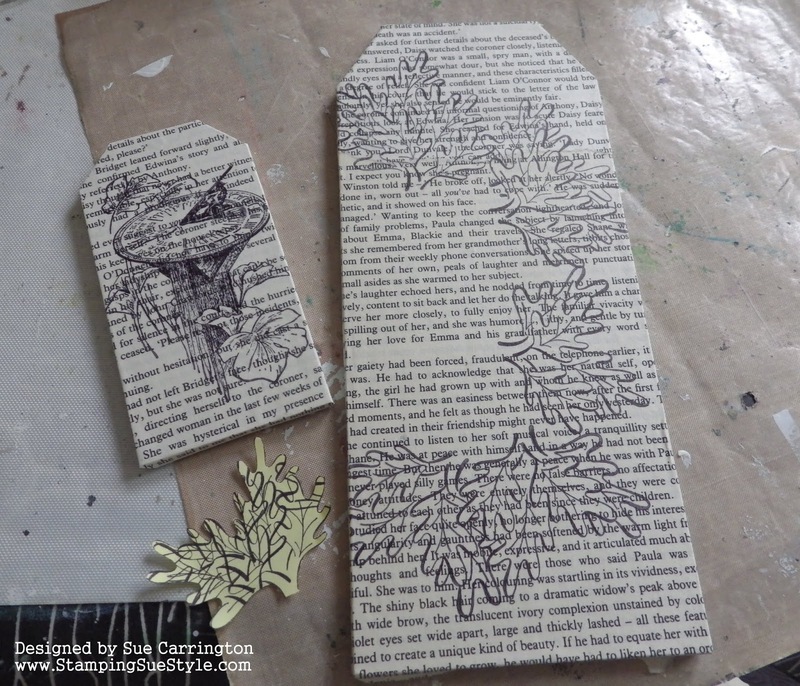 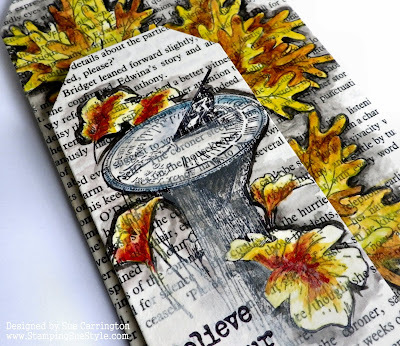 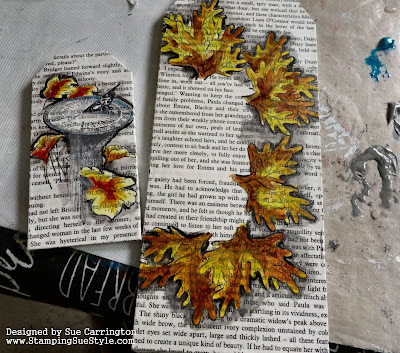 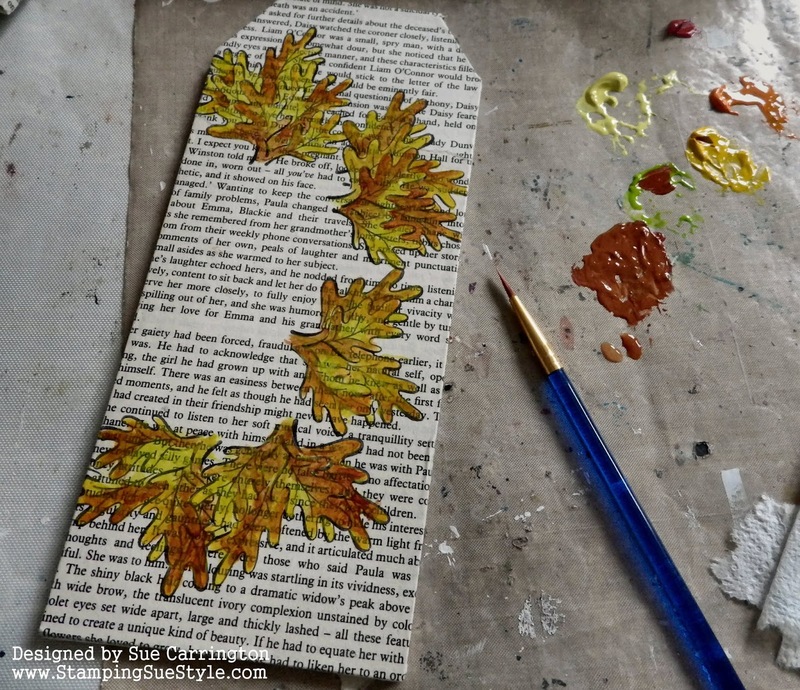 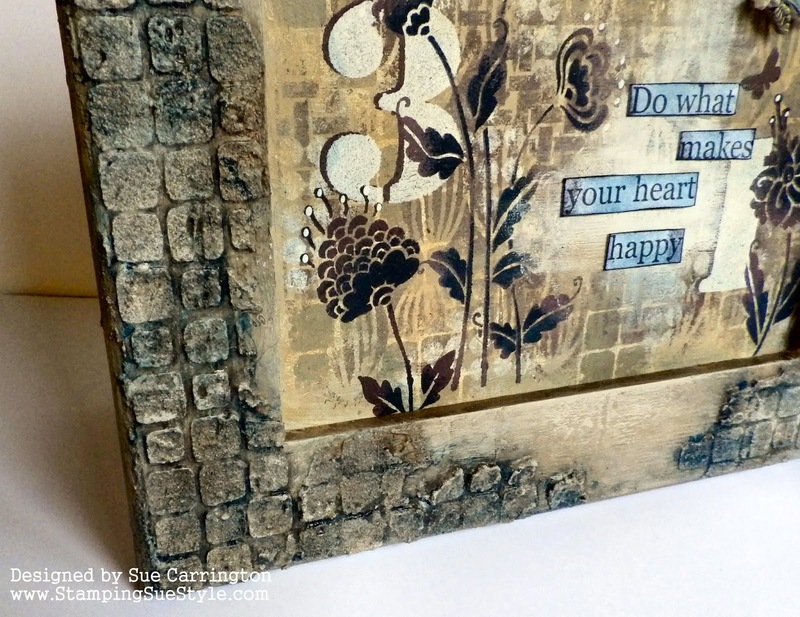 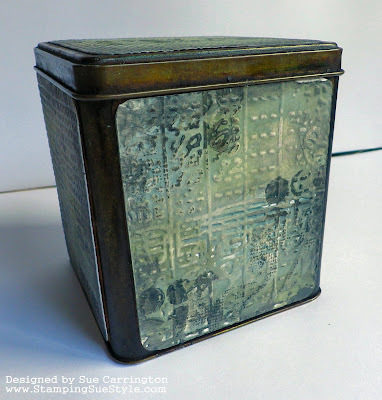 For all the information on this piece came together you'll need to hop over to Stamps and Stencils.